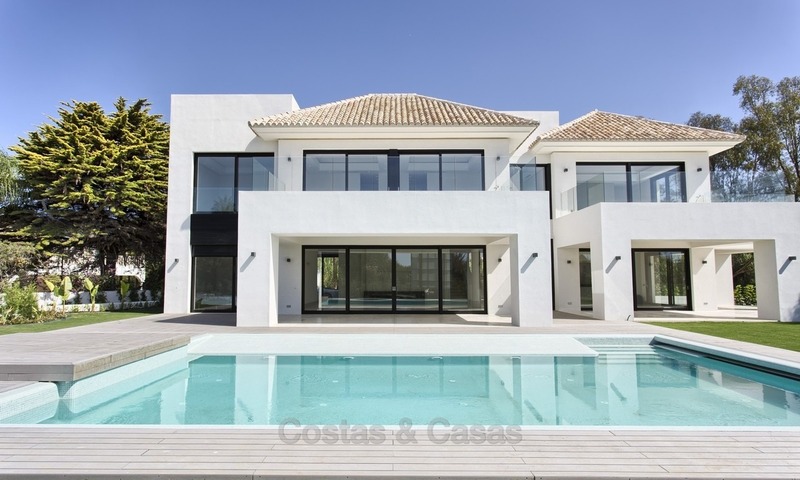 Contemporary New Villa for Sale on The Golden Mile in Marbella This villa is located right in the heart of The Golden Mile – the posh district that separates the Marbella’s downtown from Puerto Banús. The famed Vía Verde shoreline walkway and cycling path is within walking distance. 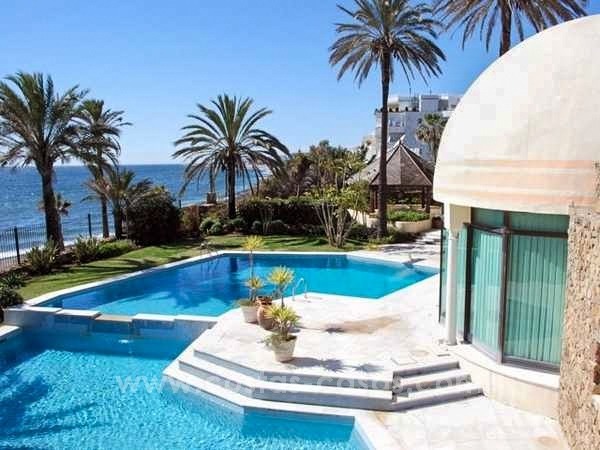 This promenade boasts a great many excellent restaurants, the Marbella Club Hotel, and Puente Romano with its manicured gardens and offering gourmet dining. The roof terrace features a built-in Jacuzzi bath. 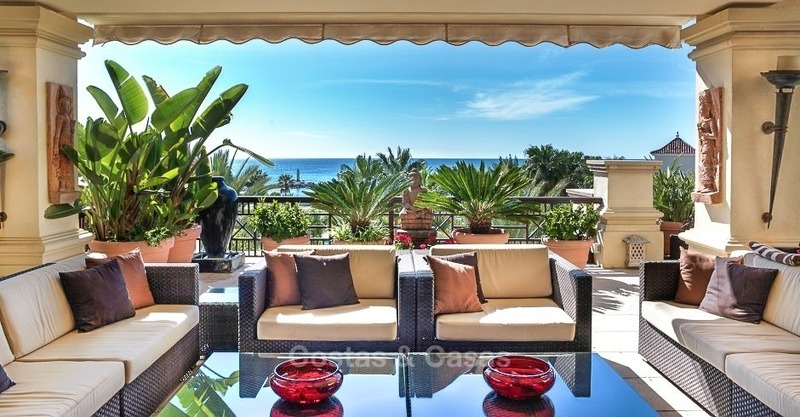 From here, breath-taking views may be enjoyed of the Mediterranean Sea and the mountains.